Nothing encourages outdoor enjoyment quite as much as a patio does. If you've been coveting the idea of a sturdy, inviting paver patio for years, take heart: Even a relatively inexperienced do-it-yourselfer can achieve professional-level results. Here's how. Before you can make any real progress toward building a paver patio, you must first decide where to put it. Don’t have a specific spot in mind? Think about it this way: How do you intend to use the patio? If you would like to enjoy alfresco dinners on your patio, situate it within an easy distance of your kitchen. If, on the other hand, your patio fantasies involve a suntan, then site the installation on a part of your property with a southern exposure. Once you’ve settled on a location, mark off the perimeter with stakes and surveyor’s string. Alternatively, if your plans involve an irregularly shaped patio, outline the dimensions with a bright-colored spray paint. The next step may be the most physically taxing part of this project. 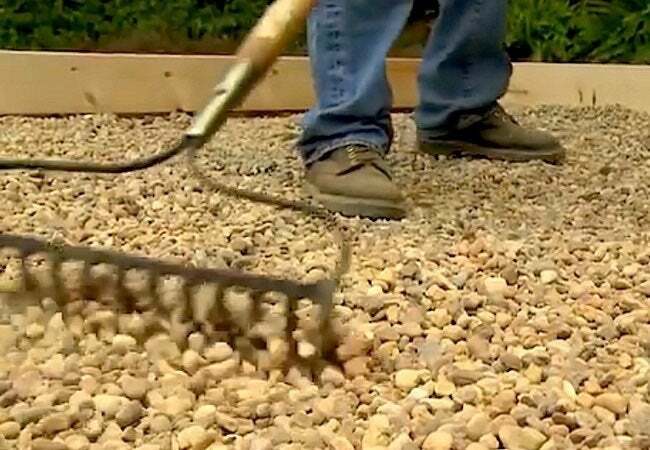 Though the finished patio surface ought to sit slightly above ground level, you must excavate to create space for the substrate—that is, the gravel and sand that will provide a stable, leveling base for the paver installation. With a shovel, excavate to a depth of seven inches below grade. This depth allows for two to four inches of gravel, one to two inches of sand, and accommodation for the height of your chosen pavers. Once the project area has been excavated to the appropriate depth, proceed to install edge restraints around the site perimeter. At your local home center, choose from a selection of ready-made edge restraints in a variety of materials, including plastic, aluminum, and wood. 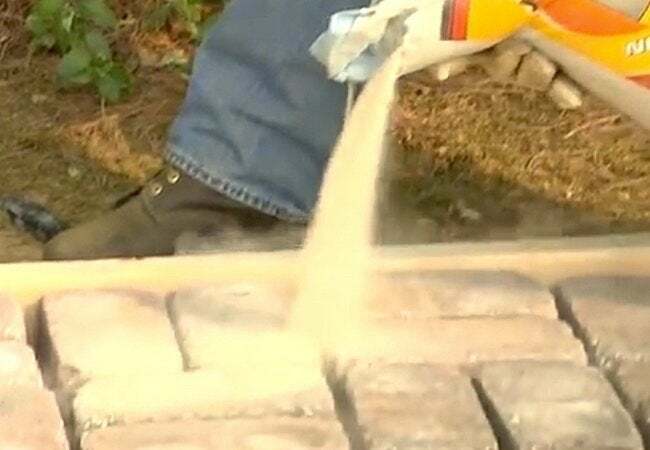 These simple hardscaping components perform the vital role of preventing pavers from settling and shifting over time due to foot traffic and harsh weather. 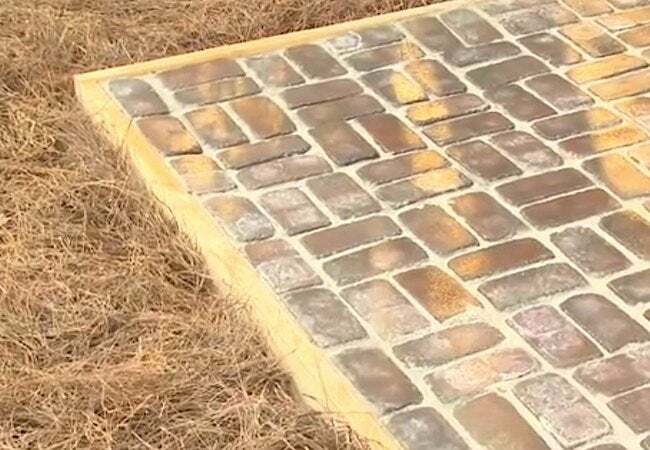 Additionally, because the pavers are installed level with the edge restraints, the latter serve the secondary, though critically important, duty of ensuring that the patio allows stormwater to run off its surface. So, take care to position your edge restraints on a slight incline; professionals recommend a slope of about a quarter inch for every 12 linear feet. Direct the angle away from, not toward, the house. Next, add enough QUIKRETE® All-Purpose Gravel to fill up two to four inches of the excavated project area. The amount of gravel you can add largely depends on the height of the pavers you plan to install. 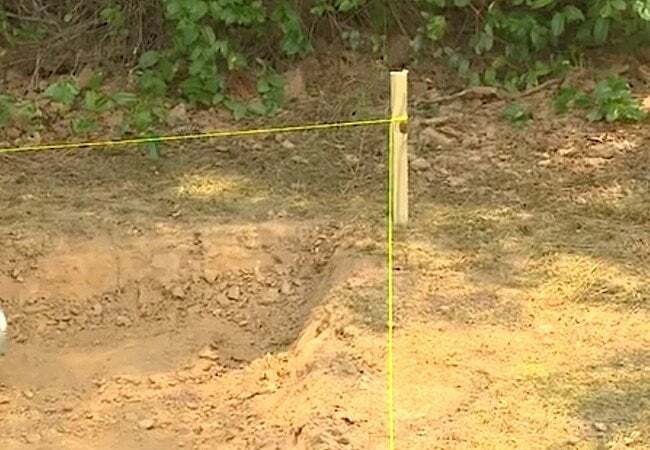 For instance, if you’ve excavated to a depth of seven inches, and your pavers are each four inches tall, then there’s room for only a couple of inches of gravel. 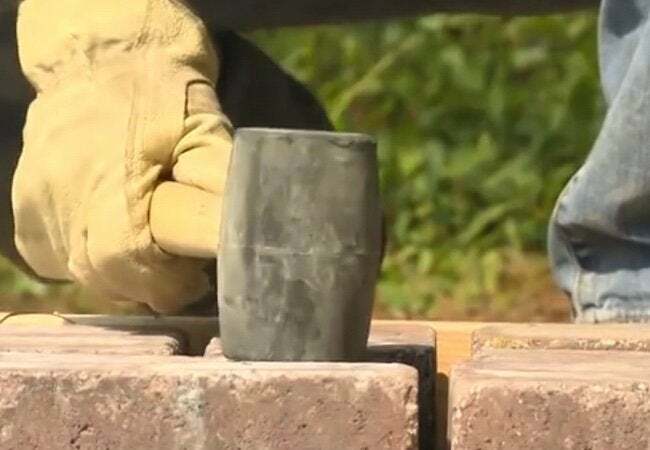 That said, there’s a direct relationship between the amount of gravel under a patio and its compression strength—in other words, its ability to endure great weight, whether from a parked car or a large group of people. Where circumstances allow, depending on how exactly you intend to use the patio, it may be wise to incorporate as much gravel as the vertical space allows. After you’ve laid the gravel, pack it down by means of a tamper.
. Whereas the gravel provides strength to the patio, the sand contributes precision, helping the installed pavers sit level. To function properly, the sand layer must be smooth and level. 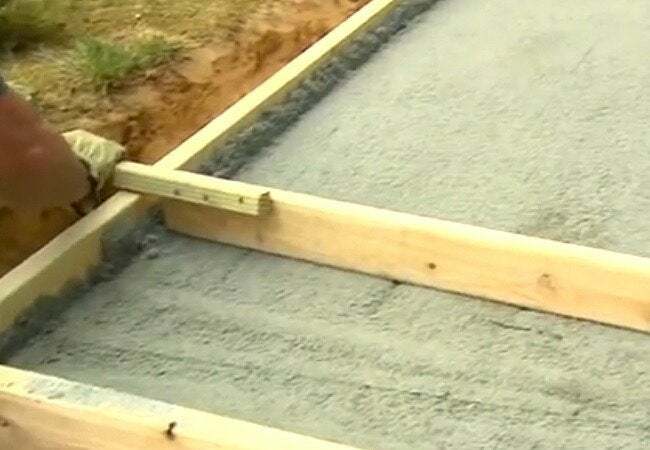 A screed board—that is, a straightedge—is the most effective way to even out an expanse of sand. You can make yours from a simple two-by-four that has been cut to equal the shortest distance across the project area. After that, cut a one-by-one into two pieces, nailing one onto each end of the larger board. These “handles” lend accuracy to the screed. With a helper manning the opposite end of the screed, push the board along the surface of the sand. As you go, periodically remove the excess sand that accumulates in front of the board. Use this excess to fill where dips appear behind the screed. Several passes may be necessary before the bed becomes level. At last, it’s time to install the pavers. 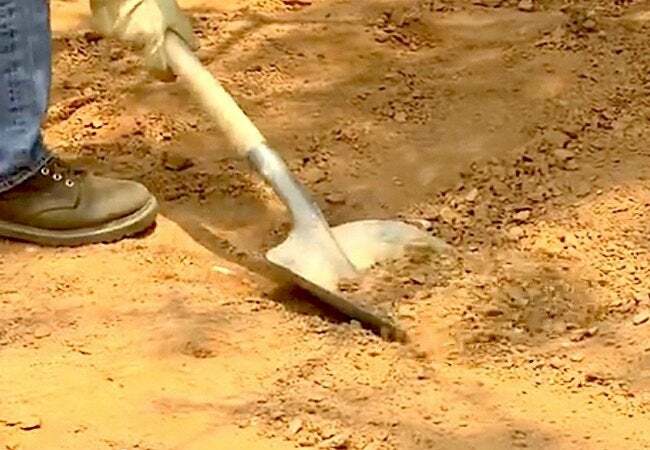 Starting in a corner, work outward as you place the pavers in the sand, tapping each into position with a rubber mallet. Note that it’s important for the gap between pavers to be the same width. 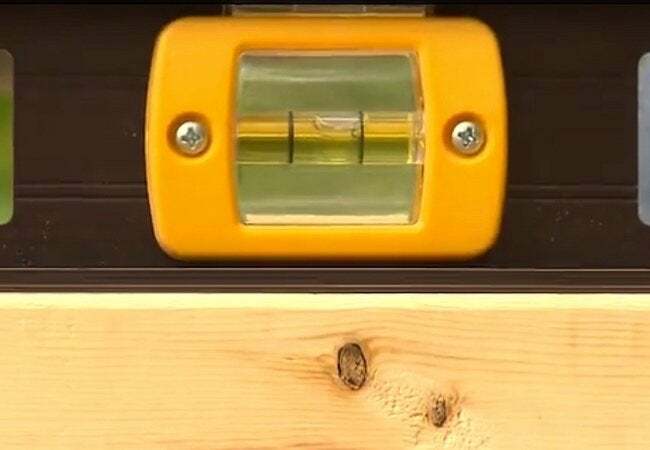 To keep the gaps consistent, use a piece of plywood whose thickness corresponds to your target gap width. 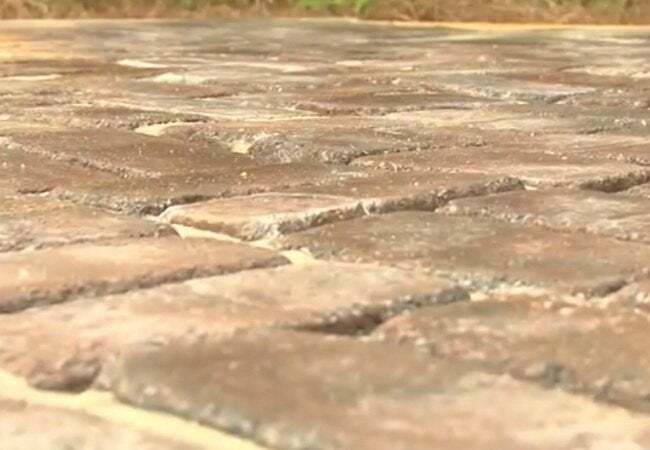 Keep a level handy so you’re able to confirm frequently that your paver surface conforms to a drainage-promoting incline.
. Simply pour your chosen sand directly from its packaging into the joints. Finish up by sweeping the excess sand out of the project area. As you go, look for any unfilled joints and top them up. Finally, attach a nozzle to your garden hose and gently mist the pavers, allowing water to saturate the sand-filled joints. 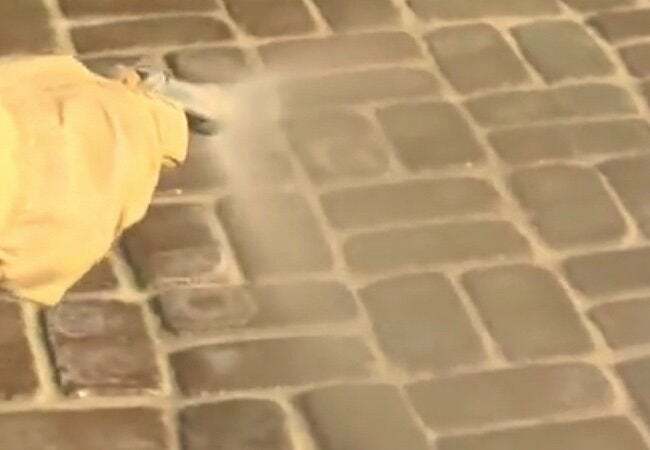 After the initial spray down, dampen the pavers once every 60 minutes over the next three hours. 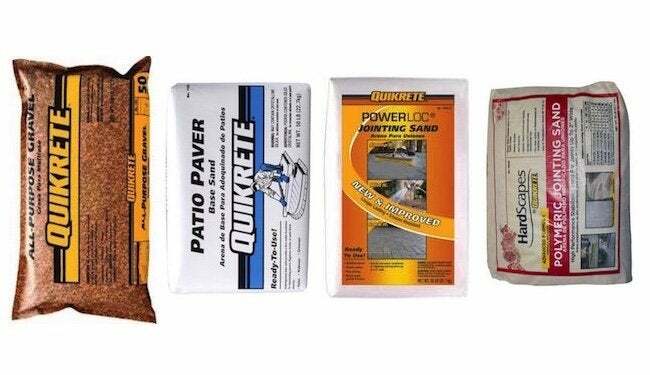 Be judicious in your spraying—avoid flooding the sand onto the paver surface. As temperature and humidity are significant (and changeable) factors, it’s difficult to estimate the dry time, but over the course of several days, you’ll notice that the joints are firming up. By the following weekend, you’ll have nothing left to do except write up the guest list for the first barbecue on your new patio!